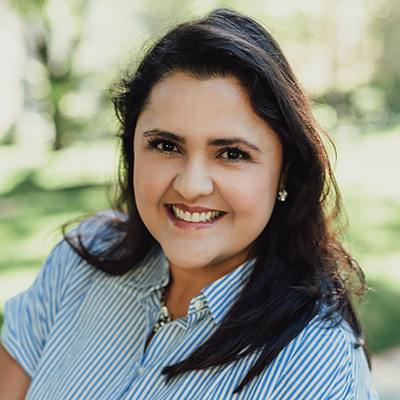 Angie Zapata, PhD is an Assistant Professor of Literacy in the department of Learning, Teaching and Curriculum. She is a longtime elementary teacher of bilingual and multilingual children, a teacher educator of undergraduate students preparing to be teachers of language and literacy in diverse, elementary settings, and advises doctoral students in Literacy Education. She teaches undergraduate, masters, and doctoral courses focused on language, literacy, identity, and literature for children and youth in both online and face-to-face settings. The research methodologies she employs are oriented towards bridging the gap between theories of humanizing pedagogies and classroom practice, including design-based experiments and collaborative teacher-researcher inquiry. Currently, she is exploring how students’ and their teachers decenter language binaries through posthumanist understandings of translingual literacy practices and text-making processes. Her most recent publications can be found in Research in the Teaching of English, Journal of Early Childhood Literacy, Handbook of Research on Teaching the English Language Arts, Language Arts, and the Journal of Children’s Literature in addition to other journals and edited books.